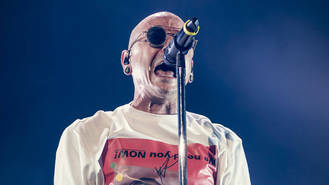 The rocker committed suicide in July (17), during the group's One More Light World Tour, and the band subsequently cancelled dates in North American and Japan. But the completed shows were recorded and now tracks will feature on a live album. "We dedicate this live album to our brother Chester who poured his heart and soul into One More Light," a statement on the group's website reads. "After we finished recording the album, we joked with Chester that - since he had delivered so many stunning performances in the studio - he had set the bar extra high to produce that alchemy on stage each night. Not surprisingly, he welcomed the challenge." "The shows we played together during the early summer of 2017 were extraordinary," the statement continues. "Chester shared with us that he felt this was the best tour we had ever done. The camaraderie and joy we experienced on stage reflected our deep connection with each other, with our fans, and with the music..."
"His dedication to bringing these songs to life was triumphant," the statement adds. "For those of you who attended this tour in person, we thank you. For those who could not, we hope this live album gives you a glimpse into how magical these shows were for the six of us." Last month (Oct17), the group paid tribute to Bennington at a memorial show at the Hollywood Bowl in Los Angeles, where members of blink-182, System Of A Down and Korn joined them onstage. One More Light Live will be released on 15 December.